The Wijnhaven area was deserted and unobtrusive most of the times. But those days are over. People who live in Rotterdam for more than 10 years (like us! ), remember the Wijnhaven area as a gray urban part of the city. No activities, no restaurants, no atmosphere at all. 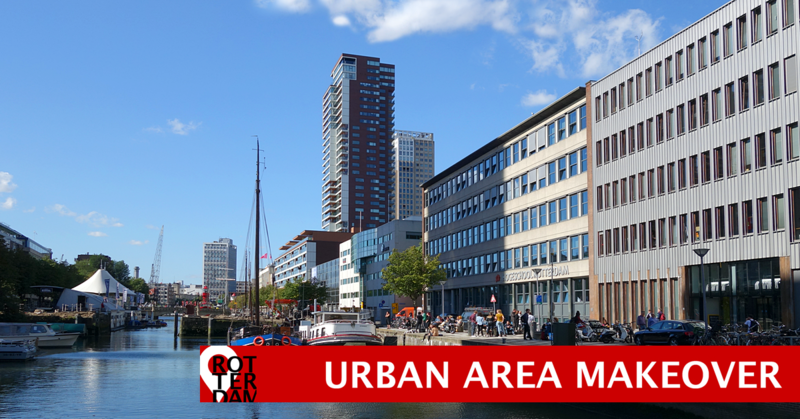 This part of Rotterdam, located between Blaak and Maasboulevard, was mainly meant for business in nondescript office buildings. So after working time there was very little left to do. But now, the Wijnhaven area, also known as the Maritime District, is designated as a high-rise area for residential towers. Already existing buildings like 100 Hoog and Red Apple can be seen as pioneers in this area. The 100 Hoog tower is 105.5 meters high. This 33 storey building is designed by Klunder Architects. It has 152 apartments, an indoor parking garage, and 10 commercial areas on the ground floor. The Red Apple is 124 meter high. 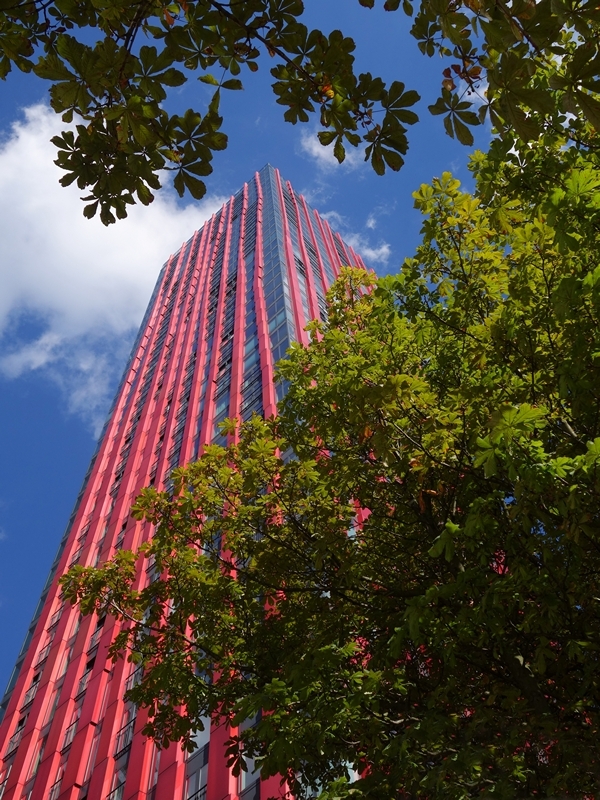 This multifunctional building (offices and apartments) is recognizable by its red striking aluminum façade, designed by KCAP Architects & Planners and Jan des Bouvrie. The residential tower has 40 floors, and 152 apartments. The ground floor is for shops and restaurants. 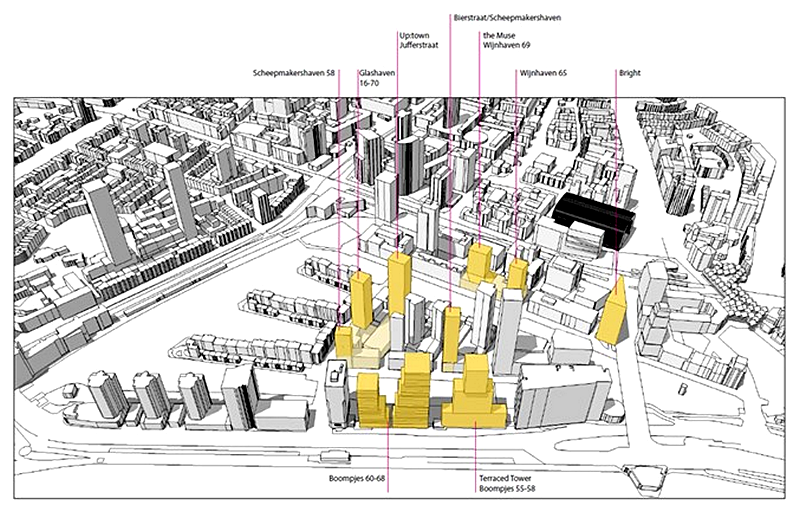 Nine residential towers are being developed around this Wijnhaven area. 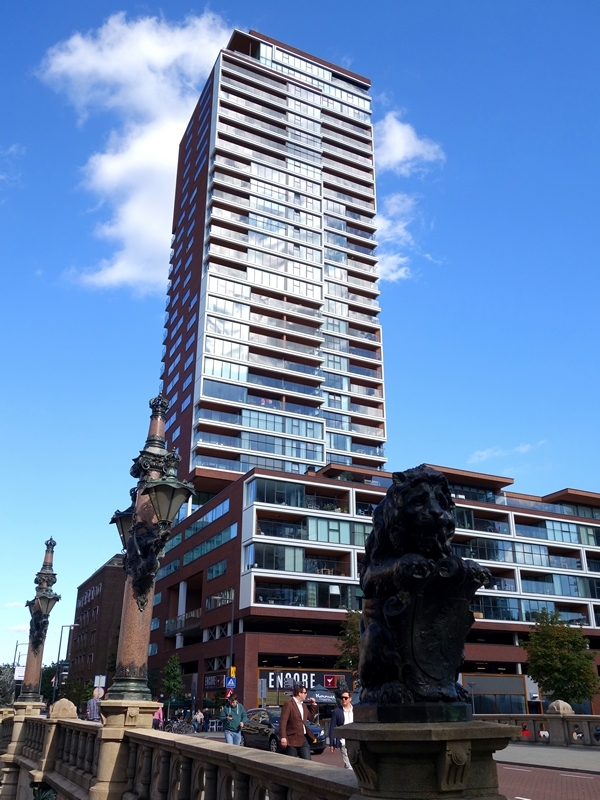 This year (2017) Rotterdam started building four of them. Old office buildings make way for new residential towers. 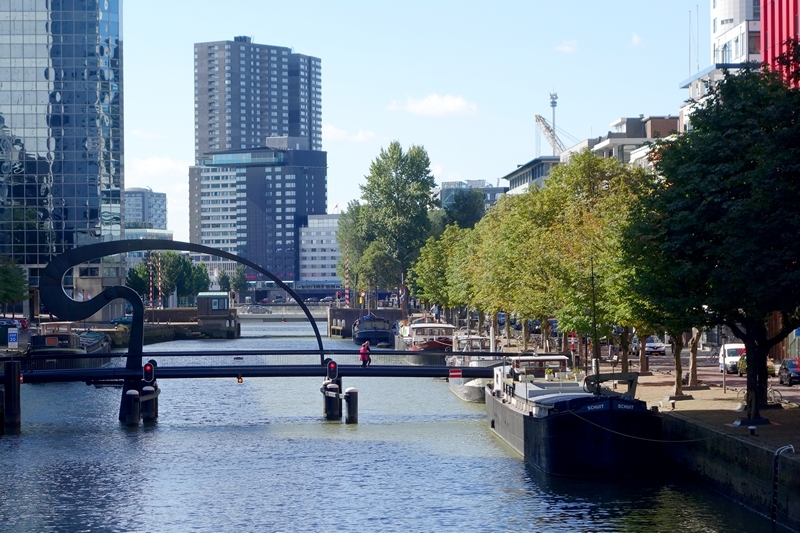 Besides housing, Rotterdam also invests in a revival of the area. Through this metamorphosis the urban area around the Wijnhaven is becoming more and more popular among both tourists and locals. Suddenly this is a place where we walk around with friends who spend a few days in Rotterdam. Despite the fairly new ambition, this area has a special high rise history. Already in 1897/1898 the famous Rotterdam White House was built. 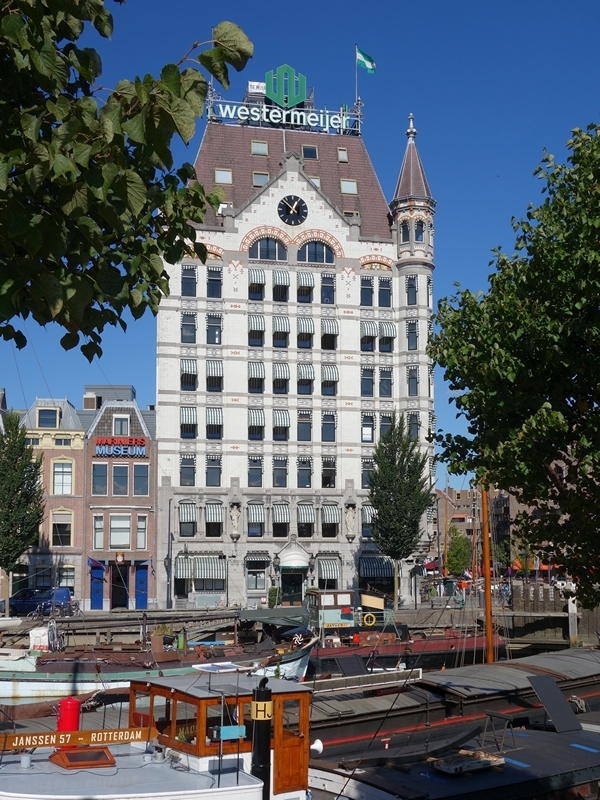 This Art Nouveau styled building (43 meters high) is often described as the first skyscraper of the Netherlands. And for a long time it was the tallest building in Europe. During the World War II bombing, most of the surrounding pre-war buildings were destroyed. But fortunately the White House remained intact. Current and future towers claim a place in the skyline of Rotterdam. We think, the best way to see it, is to drive across the Brienenoord bridge from South to North. At your left hand side you see the majestic contours of our city. Rotterdam is becoming increasingly attractive to residents, businesses and visitors, both nationally and internationally. Undoubtedly, the Wijnhaven area is an important part of this irreversible development.